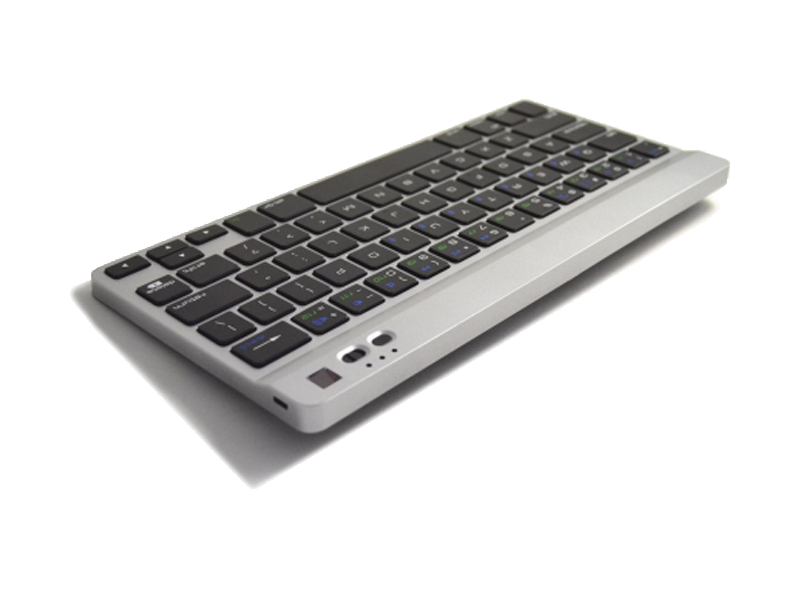 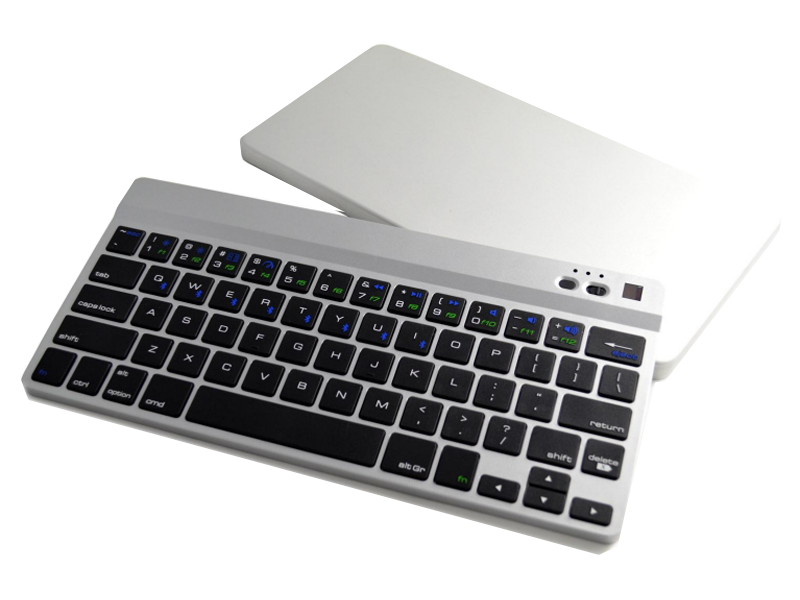 WKB-805A is a portable desktop Bluetooth keyboard with well space for typing. 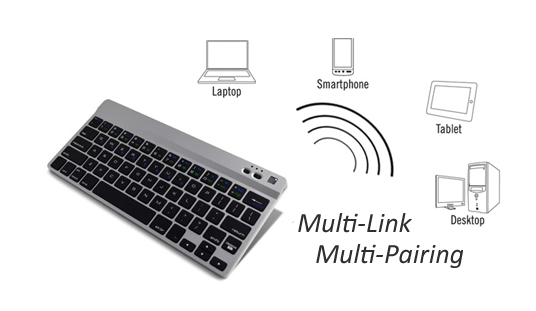 It is an ideal wireless keyboard for using iMac, iPad, iPhone or other Android OS Tablets in between, thanks to its multi-host/ multi-link switchable feature (patented). 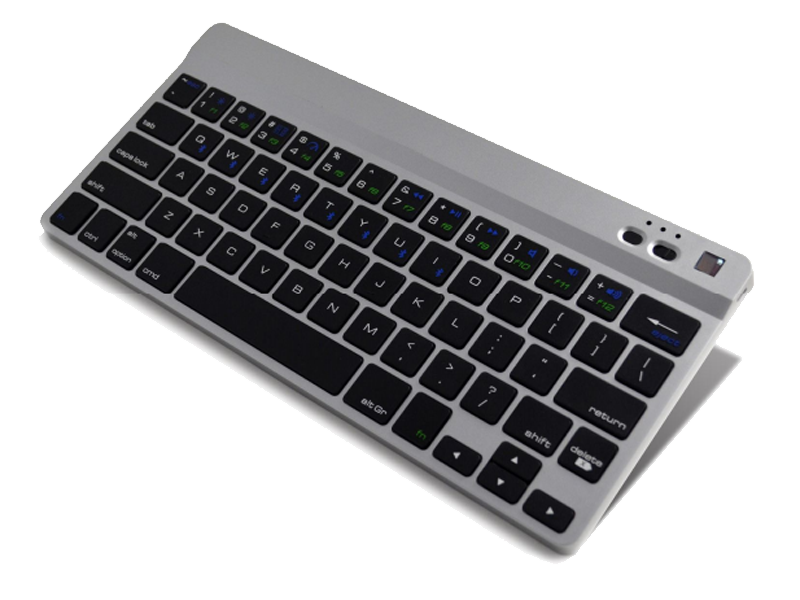 This compact size keyboard comes equipped with Bluetooth 3.0 technology with rechargeable Lithium battery, scissor-type key mechanism among many other features.